The 2017 Mercedes-Benz E-Class will likely be one of the most sophisticated cars the company has ever built. It will blur the line between human and autonomous driving, and feature the latest generation of luxury toys. Mercedes still isn’t ready to show the E-Class itself, but it did reveal its interior. 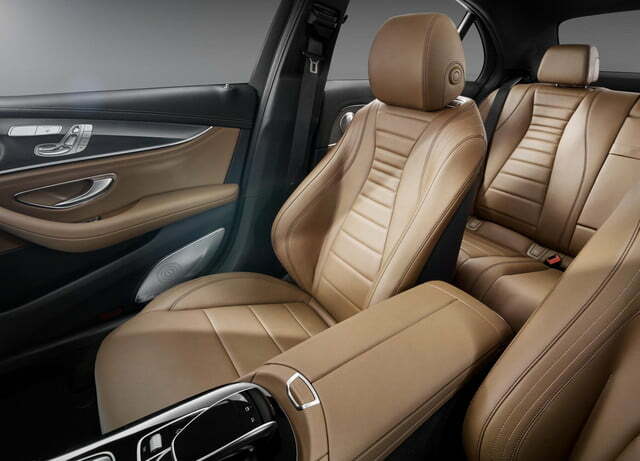 That interior borrows heavily from the larger and more expensive S-Class, and adds a few new features that should set the E-Class apart from the midsize luxury sedan competition. While the S-Class is traditionally Mercedes’ tech flagship, the E-Class will bring some of that car’s features to a wider range of buyers. One of those features is a 12.3-inch “dual display,” which takes the place of both the traditional gauge cluster and center-stack display screen. Both are replaced by a long horizontal screen that wraps around the driver’s side of the cockpit. It’s divided into two areas, with digital gauges on the left and a display for Mercedes’ Command infotainment system on the right. However, the setup is only available on upper trim levels; base models get regular gauges and a standalone 8.4-inch center-stack display. Mercedes also says the E-Class is the first car ever with touch-control buttons mounted on the steering wheel. They’re supposed to enable smartphone-like finger swiping while still allowing the driver to keep his or her hands on the wheel. There’s also a touchpad controller on the center console similar to the one on the current C-Class. It can recognize handwritten letters and numbers as well as gesture inputs. 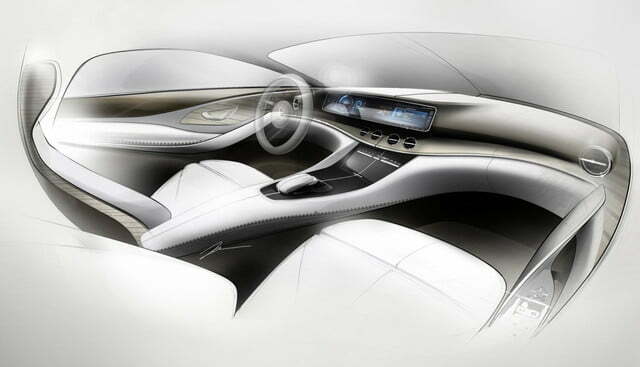 Among the things drivers can control with their fingertips is an optional Burmester 3D surround-sound system. The second generation of the 3D system offered in the S-Class, it uses four roof-mounted speakers to create a “concert hall” effect by mimicking the sound reflections that come off the ceiling of an actual performance space. With 23 speakers total, it should also make for an intense NPR listening experience. All of the tech is garnished with the traditional wood and leather. Mercedes will employ different seat designs for each E-Class trim line, and it’s trying to change things up with higher-end trim materials like open-pore wood and woven metal. Oh, and there’s also an LED ambient lighting system with 64 configurable colors. Yup, 64. The 2017 Mercedes-Benz E-Class will debut in January at the 2016 Detroit Auto Show. Besides the swanky interior, highlights are expected to include a new generation of autonomous tech, such as an Active Lane Change Assist that lets the car change lanes on its own.